It is one of the most fundamental components of any firearm: the sight. It is also, one of the most important components when it comes to the safety of everyone around a discharging firearm, including the shooter themselves. After all, a critical aspect of firearms safety is making sure the bullet goes exactly where you want, and need, it to go. Given that, it is often a surprise to many first-time gun owners that their newly purchased firearms usually do not come from the manufacturer in “sighted-in” condition. 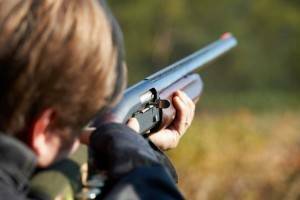 As such, after new owners familiarize themselves with their new firearm and all related safety information or accessories, one of the first things that should be done is to properly sight it in. So what is the best way to do so? Whether you are using a rifle with a scope, a pistol with a scope, or a pistol with the front and rear sights mounted to the barrel, the process is still pretty much the same. First you will need to gather your firearms, some ammunition, targets and some sort of rest to help you stabilize your firearm, (and thus improve accuracy and consistency). All accessories of this nature can be found at your favorite NH gun shop or MA gun shop. Second, and this is the step most new gun owners do not even realize, you need to fire off some ammunition without attempting to sight in the gun yet. How many rounds depends on the type of firearm and the manufacturer – check the manual for details. This is sometimes referred to as “priming the gun”, and is very important for brand new weapons. After that is done, now comes the sighting process, which is itself very simple, if time consuming. After you set up your targets and your shooting area, (the target should be at least 25 yards away for rifles, and 10 yards away for pistols), take your stance and fire a small grouping of 3-5 rounds of ammunition. Take note of where the bullets hit the target in relation to the bullseye, and adjust your sight accordingly. If the bullets hit low and to the left, you will want to adjust your sight up and to the right. Again, see your manual for proper procedure here for your specific make and model. Once you have done this, its time to fire more ammunition. Repeat this phase until the bullets hit where you are aiming. Are you done? Not quite. In order to properly zero your sight for both near and long range shooting, you must now go through the above process again, but at a longer range. Moving the targets to 200-300 yards for a rifle with a good scope, and to approximately 50 yards for pistols, should be sufficient. Once you have completed the sighting process for these ranges, you will have successfully adjusted your firearm to where it can reliably put a bullet within inches of where you are aiming over the entire range of your sighting target. All that is left is to familiarize yourself with the sight now, and get the feel of it. As always, we here at Old Glory Guns & Ammo are here to serve all of your firearms and ammunition related needs. If you are unsure about the above process, or uncomfortable with doing it yourself, please come and visit us in Mason, NH. Our highly trained and licensed NH gunsmiths will be glad to assist you in all ways required so that your firearm is properly sighted-in. Questions? Call us at 603-878-2854 today!